In January 2016 I wrote "A business has outgrown Sage and I'm about to launch Twinfield UK, part of the Wolters Kluwer Tax & Accounting division, with add-ons Sales Manager Online and Basecone. Have you had experience of this package and can share your experience?" Today (1st January 2018) I can 100% recommend Twinfield ​which has superb functionality and telephone support. Ask me for further evaluation. ​All businesses are at risk from the unexpected - major business interruptions through fire, natural disasters such as flooding, terrorist attacks. Would it be 'business as usual' for your business? How prepared are you if there was no power, no access to vital records, no way of contacting your customers or suppliers? All of this depends on how effectively you can devise, and put into action, your own business continuity management. Business continuity management can best be defined as: ‘A holistic management process that identifies potential impacts that threaten an organisation and provides a framework for building resilience with the capability for an effective response that safeguards the interests of its key stakeholders, reputation, brand and value-creating activities.’ A business continuity plan is the framework for the way that you run your business, avoiding the inevitable havoc of facing an emergency without forward planning and ensuring that your business survives. Having a robust plan in place and periodic testing of it will give your staff, customers and suppliers the reassurance that you have an effective policy and practice for managing the unexpected, giving them confidence in your business. 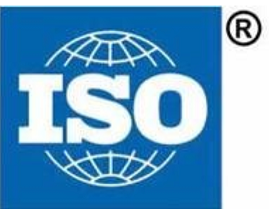 ​The importance of being accredited with the International Organisation for Standardisation (ISO) cannot be emphasised too strongly. It provides world-class specifications for products, services and systems, to ensure quality, safety and efficiency and is instrumental in facilitating international trade. In the current climate and with our exit from Europe nigh, this has never been more important. In my experience it also provides a clear framework for staff to know what their role involves, how the business wants them to achieve the standards expected of their customers and provide the first class service that will set them apart from their competitors. If your business is struggling with finding the time to keep your documentation up to date or carry out internal audits, I can help. ​There's still lots of work to be done and your customers expect the same service. I can help. I'll answer your correspondence, keep the receipts coming in, prepare that report and keep everybody happy! Tis the season to be jolly!!! Tis also the season when, if you're lucky, your staff get offered a flu vaccination and if you're not, you're faced with staff shortages due to illness. If that's your business, I'm here to help you. Even if you're not in my BS37 vicinity, many tasks can be done remotely with a little preparation. Check out my website and contact me. The sooner you get back on track, the sooner you'll be meeting deadlines and targets! ​You’ve secured the sales but not all your customers pay when they should. Sound familiar? If you do business on trade credit it’s time consuming chasing the late payers and cashflow is of the essence. Late payments and outstanding debts are the curse of small businesses. Bad payers can really mess up your cash flow and in extreme cases businesses have gone bust purely because the revenue due wasn’t received. New startups are probably at greater risk but all businesses, big or small, can suffer. It's all a question of time permitting . . . . .
. . . . . So maybe it’s time to get a little extra help? I have secured payments on behalf of my clients that they would otherwise have given up on. Let me take some of the pressure off you so that you can get on with the more positive side of the business!